Opening night. Open to the public. All welcome! 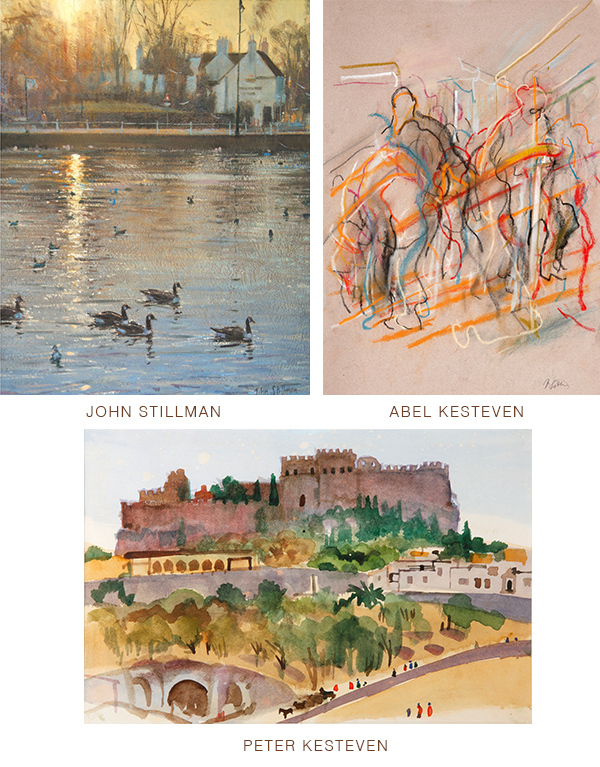 We are delighted to host our third joint exhibition of works by John Stillman and Abel Kesteven alongside an exhibition of selected works by Peter Kesteven, Abel's late father. The exhibition will feature a diverse selection of original paintings and drawings primarily captured 'en plein air' (in the open air) or 'alla prima' (direct from life) as well as mono-prints and sculpture. In addition there will also be a 'never seen before', and very limited edition selection of fine art prints of John and Abel's most popular works available exclusively through the [mine] gallery. John and Abel are both members of Chelsea Art Society and regular exhibitors at the Mall Galleries in London; John Stillman ARSMA with the Royal Institute of Oil Painters (ROI), the Royal Society of Marine Artists (RSMA) and The Wapping Group; and Abel with the Pastel Society. There will be a number of opportunities to meet the artists over the course of the opening weekend. We look forward to welcoming you to the gallery.